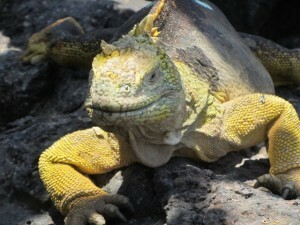 Galapagos is home to some of the world’s most interesting creatures – iguanas, blue-footed boobies, sea lions, manta rays and giant tortoises. 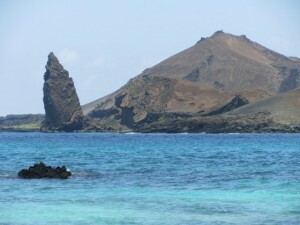 We’ve come to the islands hoping to see them all and we are not disappointed. Time and budget preclude a cruise so we chose a land-based tour staying on the main island, Santa Cruz and taking a boat trip each day. Our first day is an early start to Bartholomew Island. We are greeted by a sea lion snoozing in the sun at our landing spot. 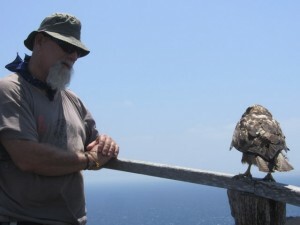 On our 360 step climb to the top of the island we see hawks circling overhead. They are juveniles and they are as interested in us as we are in them. The next day we visit Plazas island. Here the sea lion pups are playing in their ‘creche’ while bull sea lions cruise the shallows making sure they don’t venture out into the deeper water where sharks are lurking just waiting for a tiny morsel. We could watch them hooning around in the water for hours but we must move on to see the land iguanas lazing in the sun under cactus bushes. They have to wait here until the cactus leaves, their staple diet, fall. 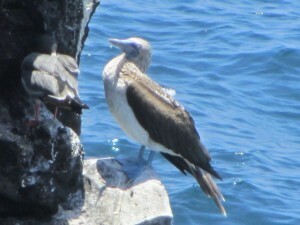 On the cliffs of Plazas Island we see the famous blue-footed booby. It’s a clumsy bird that stands out in the crowd because of its bright blue beak and feet. 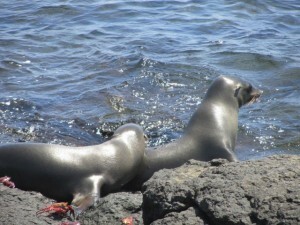 None of the animals on the Galapagos are fazed by the presence of humans and it is not because there are always visitors here. The same behaviour was noted by the Spaniards when they first came here in the 1500s. 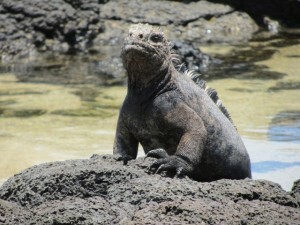 At Dragon Hill island we see the marine iguana. One is resting in the sun on the rocks and then decides to take a dip to cool off. Like their land based cousins the marine iguanas have a definite pre-historic look and look at us with complete indifference as we look at them with deep interest. 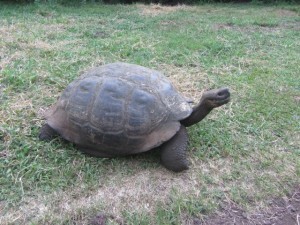 On the main island the giant tortoises are on the move. We are blessed and see about 20 of them on one ranch in the highlands. These huge creatures lumber along even crossing the main road to get from one side of the island to the other during the breeding season. 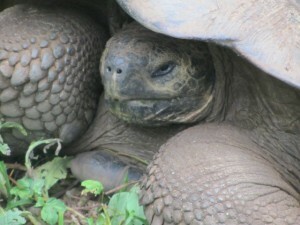 They are more than 100 years old and weigh around 250 kilos. They have the look of ET and retreat into their shells if they feel threatened by us. One pair didn’t – barely missing a beat during the male’s attempts to mate with a female. As we cruise from island to island we see dolphins and seals playing around the boat. We see rays leaping out of the water and sea birds dive bombing schools of fish. We leave with a plan to return and explore more of this remarkable place. It is an amazing place and next time come in Spring. We spent eight days sailing around and loved every moment. I particularly loved the Blue footed Boobies – the red ones looked all wrong. Are you going to give a photo presentation and a chat when you decide to come home? I would love to attend!